If you’re looking for a conditioning system that can save you thousands of dollars every year, then Chromasum Micro-Concentrator is what you need. It’s one of the few AC units that make use of the solar power to cool the room. Chromasum Micro-Concentrator is simply a panel from Chromasun, a California based company. The company provides the homeowners with an alternative air conditioning system that utilises solar thermal energy but can also be supplemented with cheap natural gas in the absence of sunlight. The brands successfully eliminated the use of electrical power altogether, and this is something that’s got the whole team at Controlled Air Con extremely excited. This is another green energy technology that’s making a huge impact in the HVAC industry. The mission to work on this technology was initiated in the 2003 and this led to the invention of the Ice Bear in 2005. 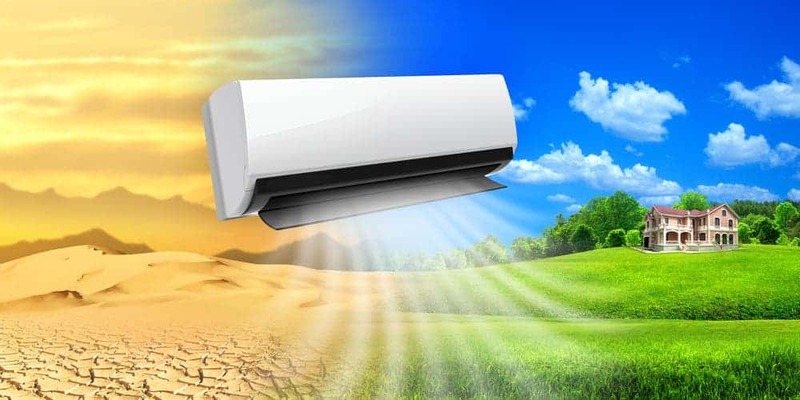 Over the years, this green technology has helped homeowners reduce their electricity bills while at the same time reduce the emission of carbon dioxide to the environment. With ice energy, the AC unit is provided with an ice battery to help homeowners and business operators lower their energy bills. Although the technology is not widespread, it is expected to be a force to reckon with when it comes to new technology features. Duct wrap has been with us for sometimes now, but the introduction of the Quiet-Duct Wrap has been a game changer in the industry. This is a thermal and acoustic insulation product and what sets it apart from traditional duct tape is its natural fibre construction. It works great in reducing heat loss and gain that mostly occurs via air ducts. The duct wrap is made from recycled denim fabric, and that’s what makes it environmentally friendly. It does not include fibreglass, and thus you don’t have to worry about skin irritation while working with it. Apart from that, Quiets Duct Wrap brings other numerous benefits such fire protection. The duct wrap delivers durability and enhanced protection. Although geothermal HVAC products have been on the market since in the 1940s, they have improved over the years to enhance their performance. These are special types of pumps that make use of the heat from the earth to warm the rooms. What makes this technology green is it doesn’t add any carbon dioxide, and the trapped heat is natural and it will never end. It’s important to note that Geothermal Heat Pump has been rated as of the best systems since it can deliver between 300- 600 efficiencies even on cold nights in the winter. For those looking for an HVAC that can deliver instant hot water on demand, this is one of the best green technology choices that you should go for. The system is designed with an ‘on command’ pump that attaches to both the cold and hot water pipes. When activated, it allows for the cool back to the heater while the pump moves the hot water from the tank to the faucet on command. Why Isn’t Your Air-Conditioner Blowing Cold Air?